Whether you Like it or not, but the fact that today Samsung is One of the largest suppliers of smartphones and tablets with Android on the shelves of the world shops. Although the company was the first to create a device with a green robot, the first was HTC (HTC Dream / G1), Samsung was in the first two. Released a new version of the popular program Skitch for Android. It allows you to quickly annotate images, to draw attention to a particular object in the photo, publish photos on Twitter and Facebook. 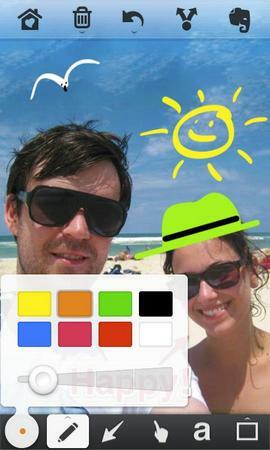 Skitch for Android was released after the developers of the Mac app was acquired by Evernote. 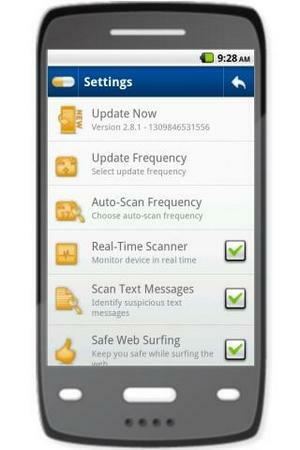 The Program Wifi Analyzer turns any smartphone with support for Wi-fi scanner for wireless networks. This application analyzes the character of the coating at a specific point, determining the strength of the received signal. 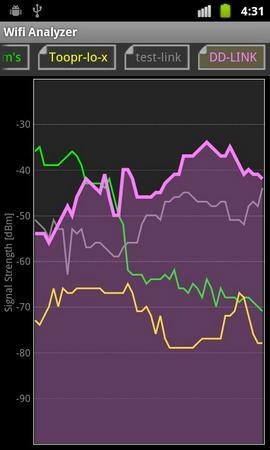 The charts generated by Wifi Analyzer, we can conclude about how interfere with each other two different sources Wi-fi signal, and you can check which radio frequency channels, the connection will be more effective. 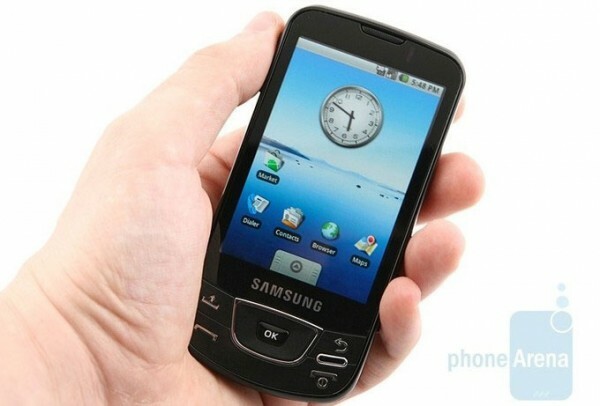 Thus, by changing the settings of the smartphone the options, you can improve the reception quality. 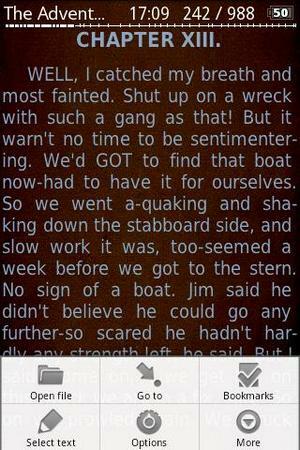 Cool Reader is one of the best applications for reading electronic books on devices running Android. The program supports reading books in formats fb2, epub, txt, doc, rtf, html, chm, tcr, pdb, pml, and can read texts aloud. It has the ability to customize the animation of turning pages, implemented dictionary support (ColorDict and Fora Dictionary), control the screen brightness, support for bookmarks, table of contents, text search. 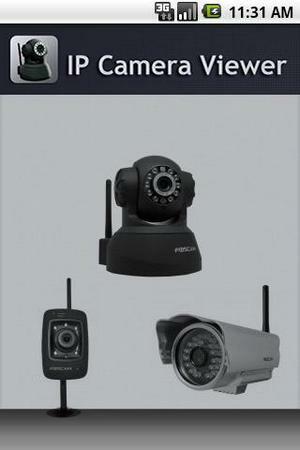 WatchDroid Pro is an application that will help protect in case of theft phone, running Android. On each boot, the program checks the SIM card, and if it detects that it has been replaced, sends SMS to the specified number informing the new number of the device. In addition, if you have an active GPS she reports about the whereabouts of the phone. Released a new version of Dropbox client for devices running Android. Dropbox is a popular web service designed to synchronize data on multiple computers and mobile devices. 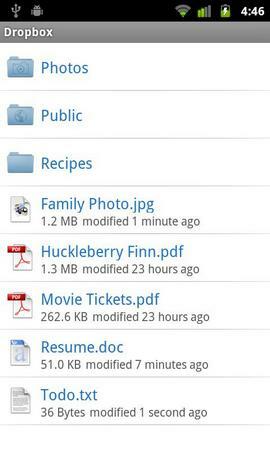 Dropbox supports all popular desktop (Windows, Mac, Linux) and many mobile platforms (iOS, Blackberry, Android). 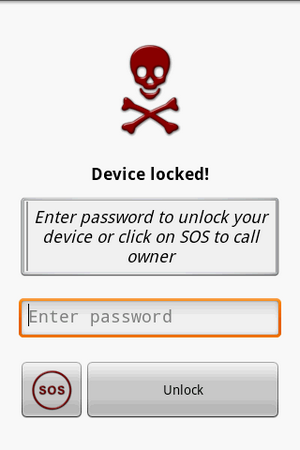 Handcent SMS is an application that extends the capabilities of the devices running Android, which relate to messaging. Using the program you can search for messages, view the correspondence in chat mode, to DSN. 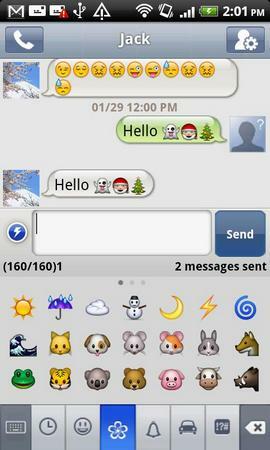 Handcent SMS supports voice messages, and MMS, and offers loads of emoticons to Express emotions. 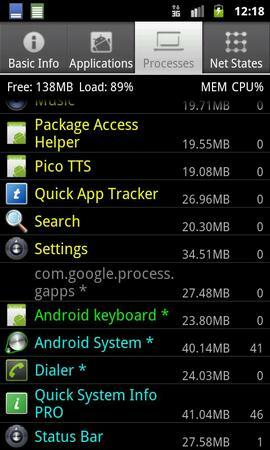 Quick System Info Pro is a free application for devices running Android, which displays detailed information about the system. The utility displays data about CPU, memory, SD card, displays all running processes displays a list of installed applications and network connections.